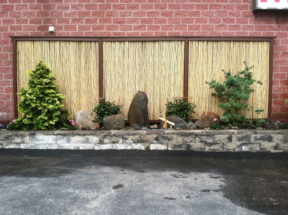 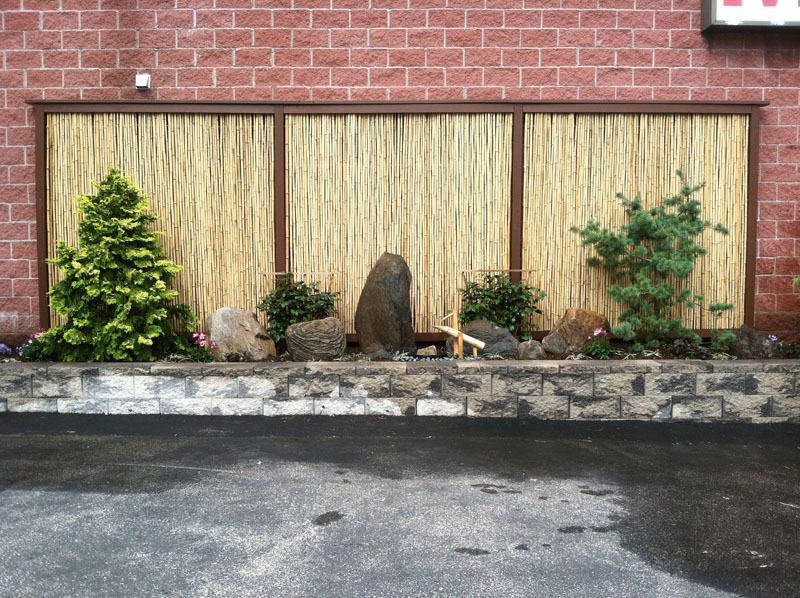 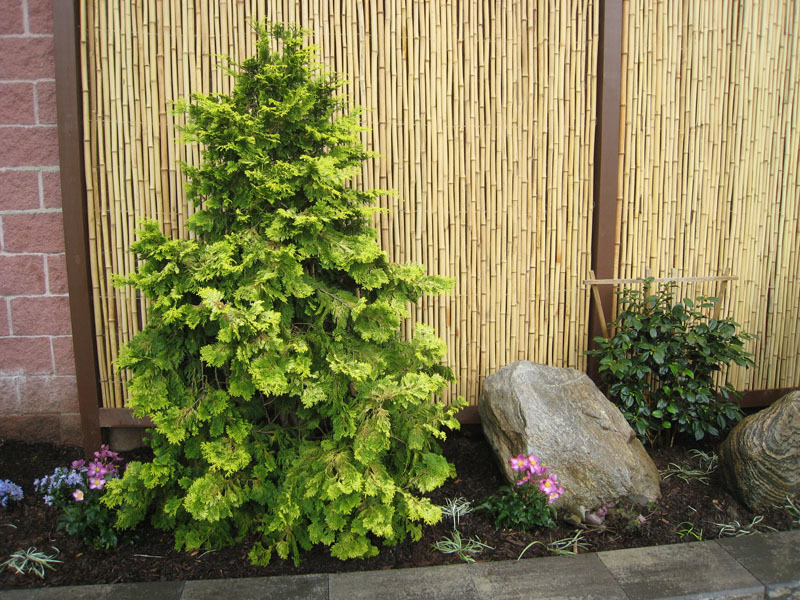 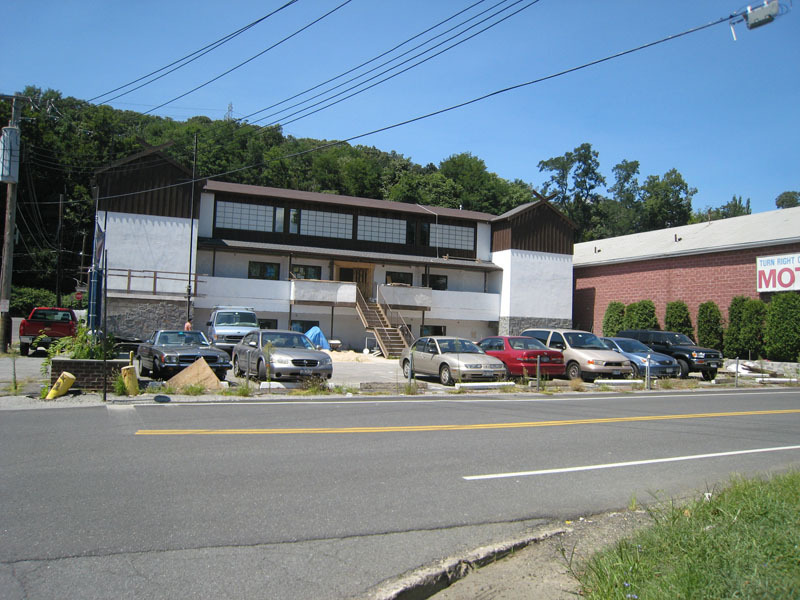 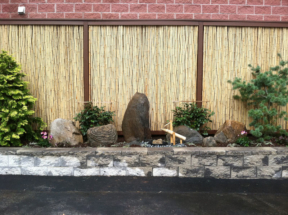 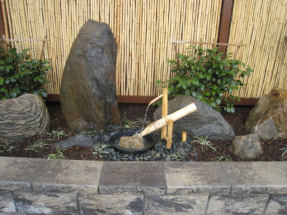 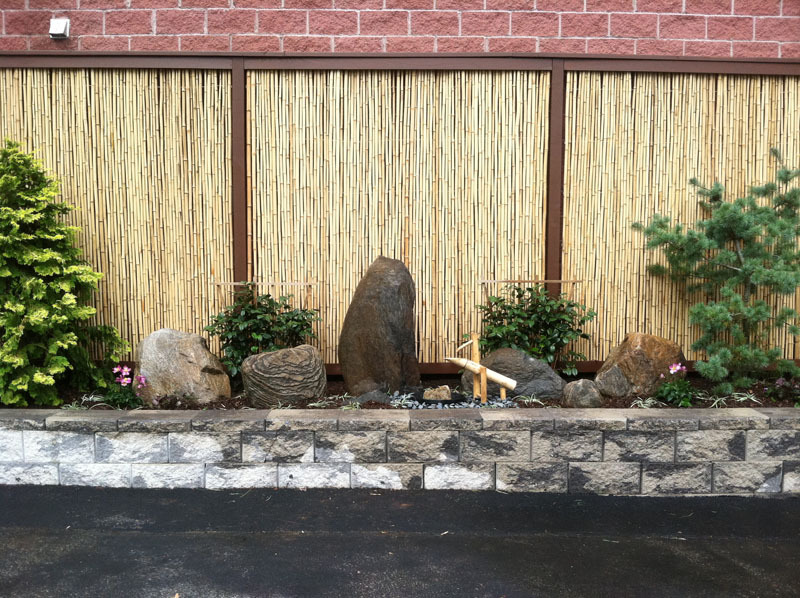 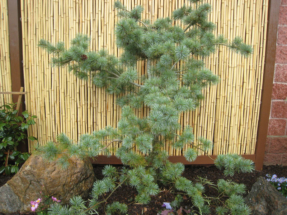 When a karate organization decided to open a second location in Westchester, NY, we were asked to create three Japanese-inspired garden spaces at the site. 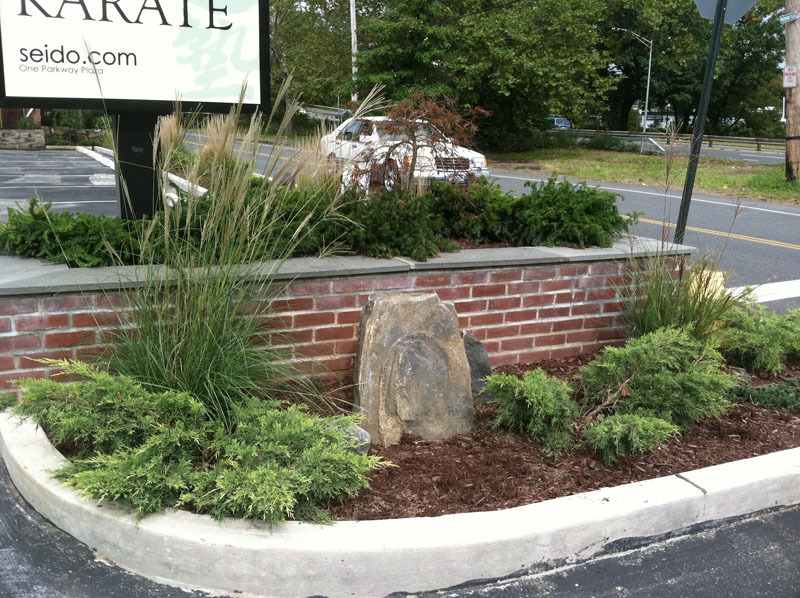 Unique stone formations grace all three gardens and the first space consists of a planting around the sign inviting people in. 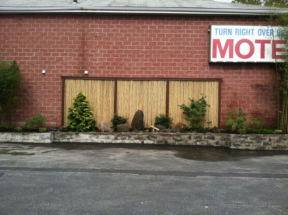 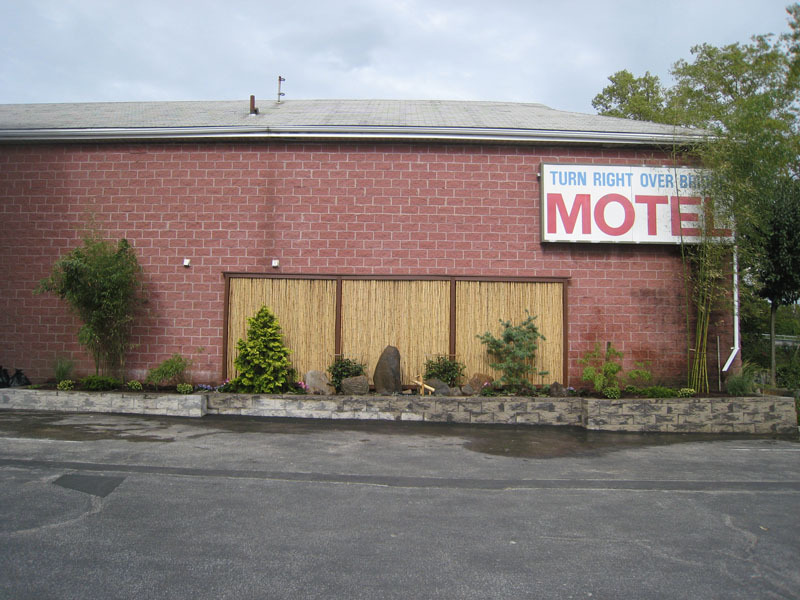 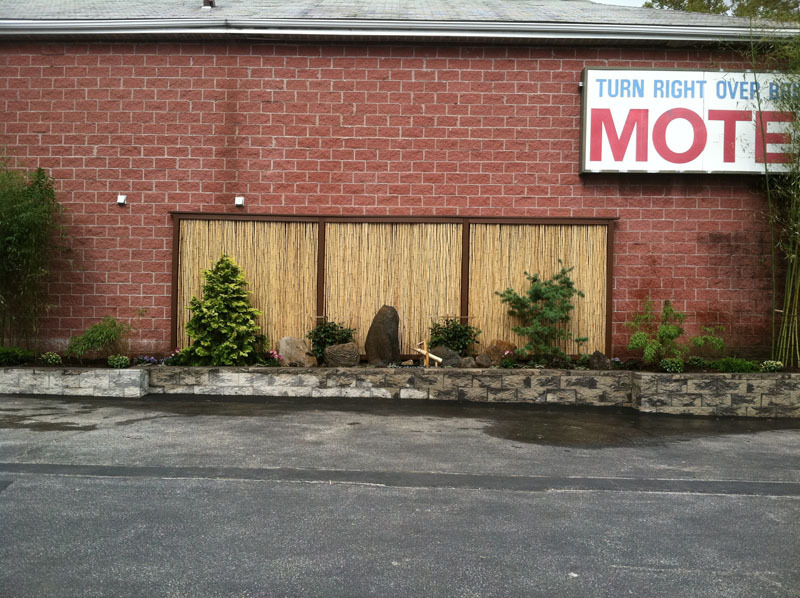 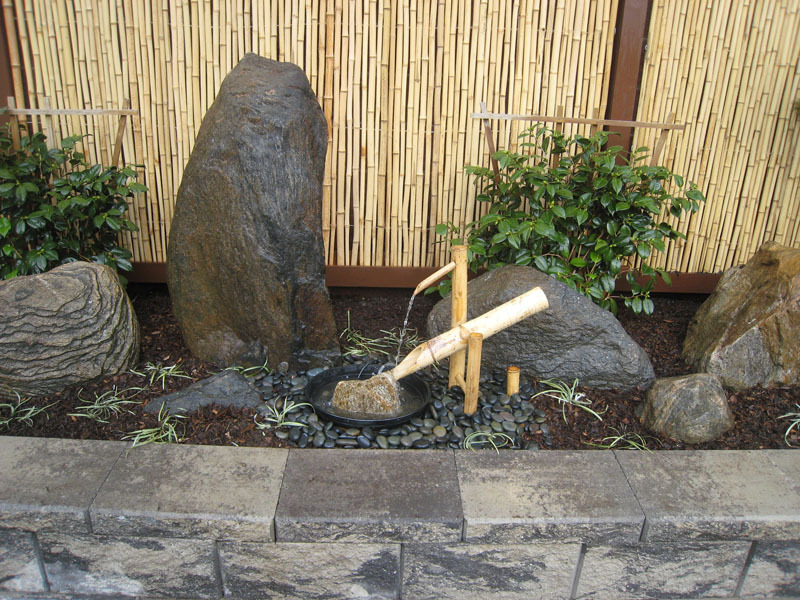 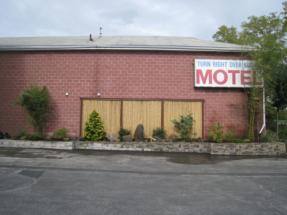 The second space is the parking lot garden where we enhanced the Asian feel with a bamboo-framed backdrop and fountain. 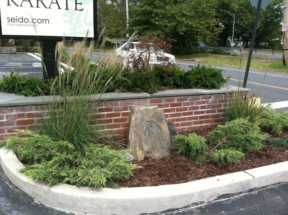 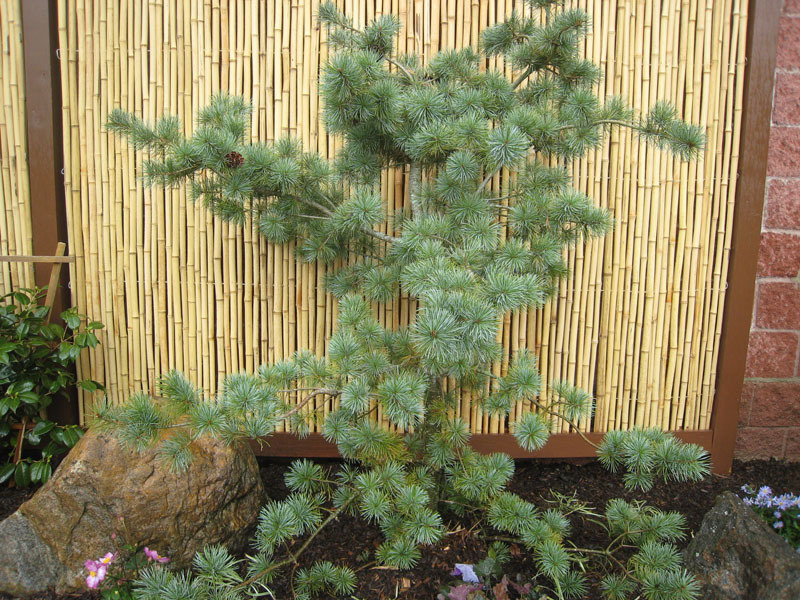 The third space was planted with tough but pleasing evergreens and grasses because this area takes abuse from car exhaust and snow plows.